Supposedly to post this up at the end of September/early October but got pretty caught up due to travel/work/outstation work so here it is - Congratulations on your 1st Anniversary Skintopic! 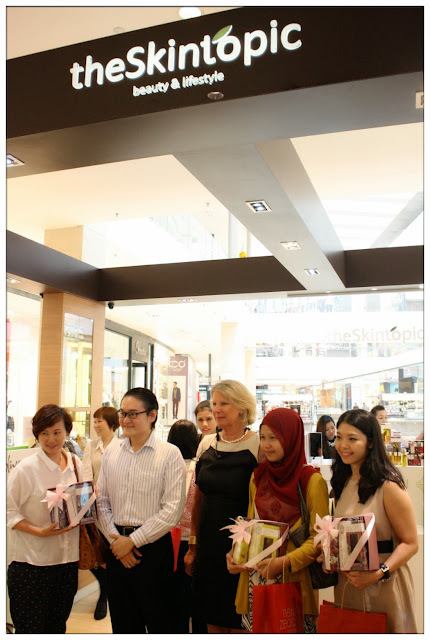 Got invited to witnessed the milestone celebration of Skintopic at their Pavilion outlet and love the au-naturale feeling of the outlet so much. 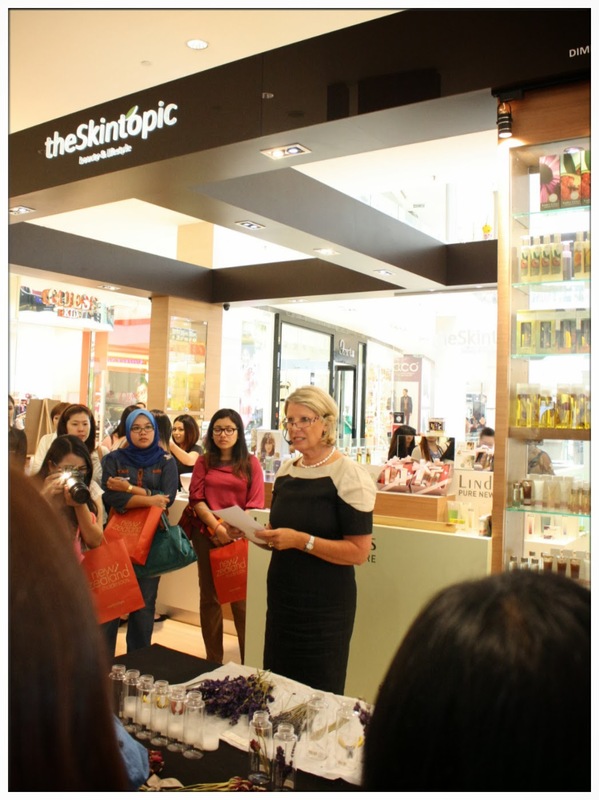 In conjunction of the anniversary celebration, the founder of the brand Linden Leaves that Skintopic retailing was invited to celebrate this memorable day. 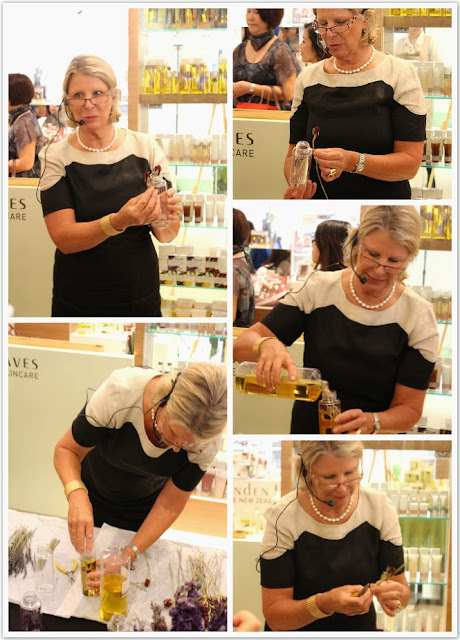 Brigit Blair, the founder, were there to share about her brand Linden Leaves and also let the guests participate in a D.I.Y Linden Leaves body oil activities! All set for the D.I.Y session. Finger foods were served to the guests before the start of the event. Although I couldn't remember much bout who did the catering for the tea session, but the food were very very nice and wide range of selection for the guests. Good sandwich and also desserts, yummy! Totally set our mood for welcoming what's coming next. Brigit Blair, founder of Linden Leaves giving an opening speech. 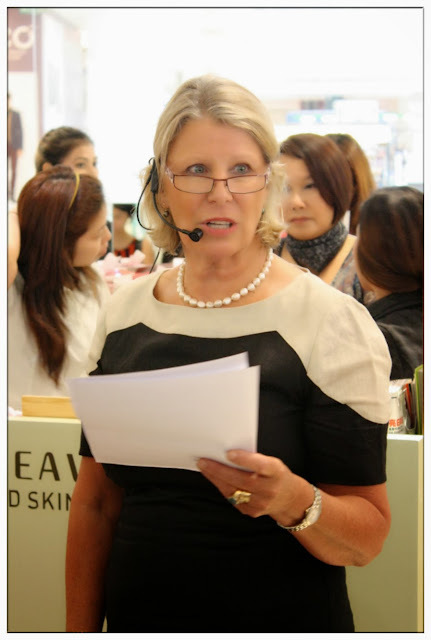 For those who doesn't know much bout Skintopic, it is a privately-owned company which retails lifestyle and beauty products made in New Zealand. Skintopic is well-known for retailing natural skincare, bath, body, home fragrance and gift sets products that are free from harmful ingredients, parabens, artificial colours or preservatives. Their naturally made products are not tested on animals as well, which made these New Zealand products popular to the trend of go natural these days. 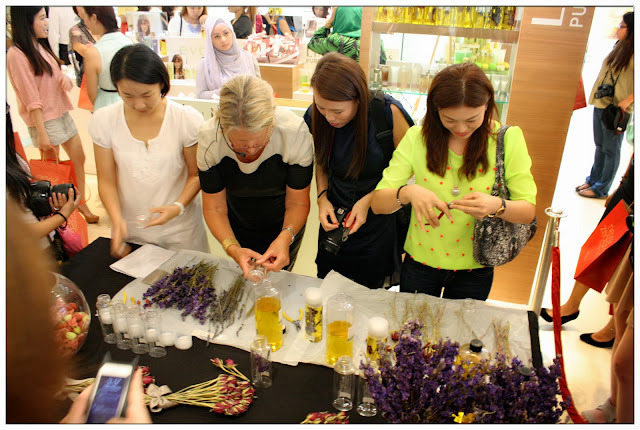 Just right after Ms. Brigit done giving her opening speech, she demonstrate to all the guests of how to make the best-selling Linden Leaves Aromatherapy Synergy Body Oil. 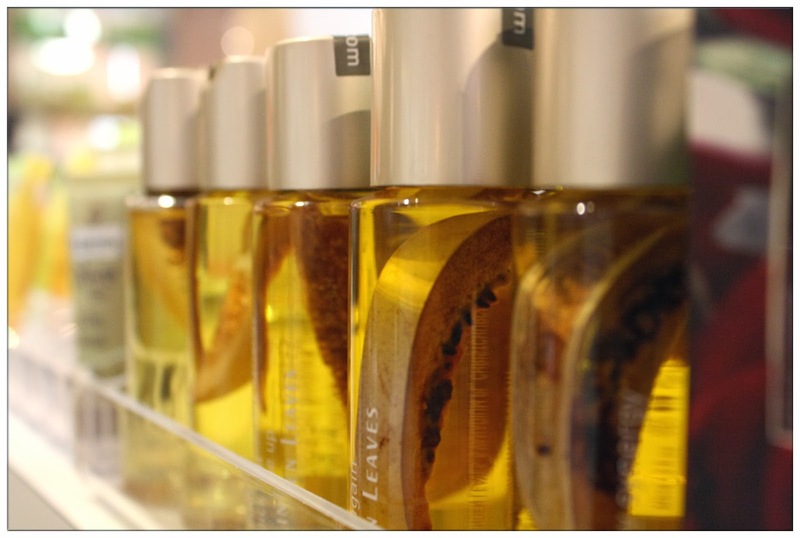 Each and every bottle of Linden Leaves Aromatherapy Synergy Body Oil were purely hand-made in New Zealand and then deliver to their outlets worldwide. It is not just a bottle of body oil, but a bottle of body oil made with full of love, attention and care. 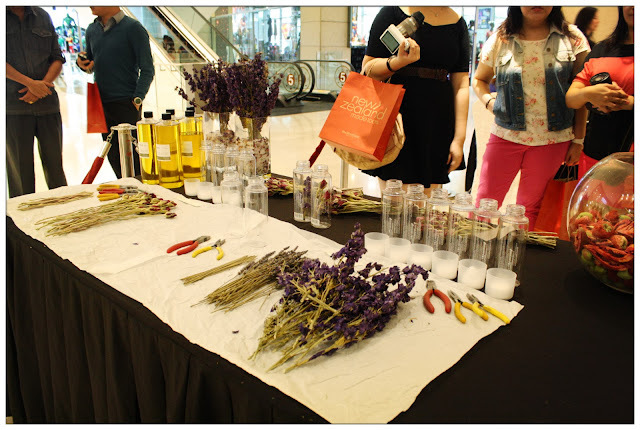 Guests get to make the Aromatherapy Synergy Body Oil together with Ms. Brigit! 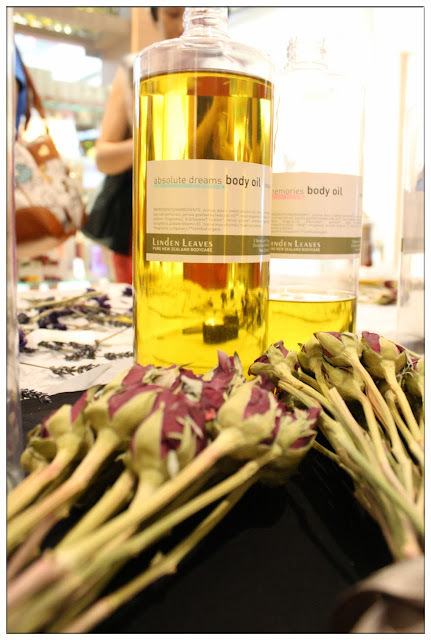 Too bad I was a bit shy at that time and couldn't really compete with other guests to get a spot to participate in the D.I.Y session, hence missed out the chance to create a bottle of Aromatherapy Synergy Body Oil of my own *sobs*. Anyway, the lavenders and roses really gives me a spiritual lift. 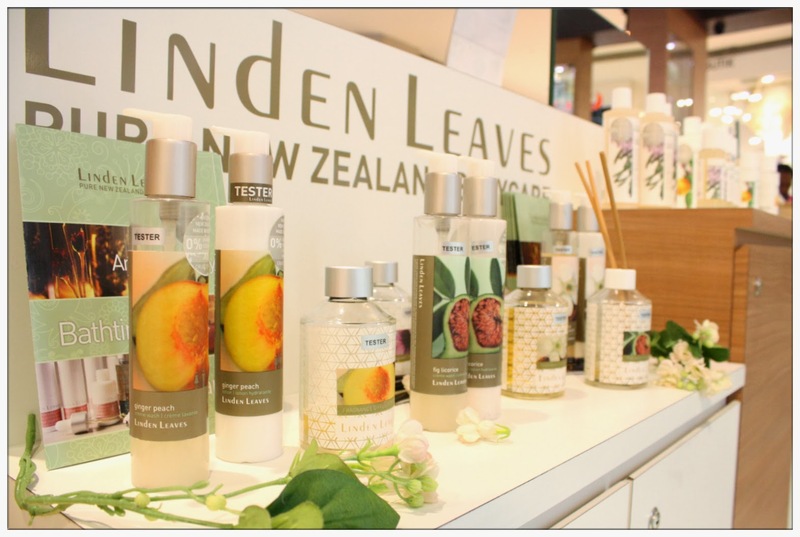 All the fruits and floral that were used in Linden Leaves products are organic products which grow in New Zealand the land itself. 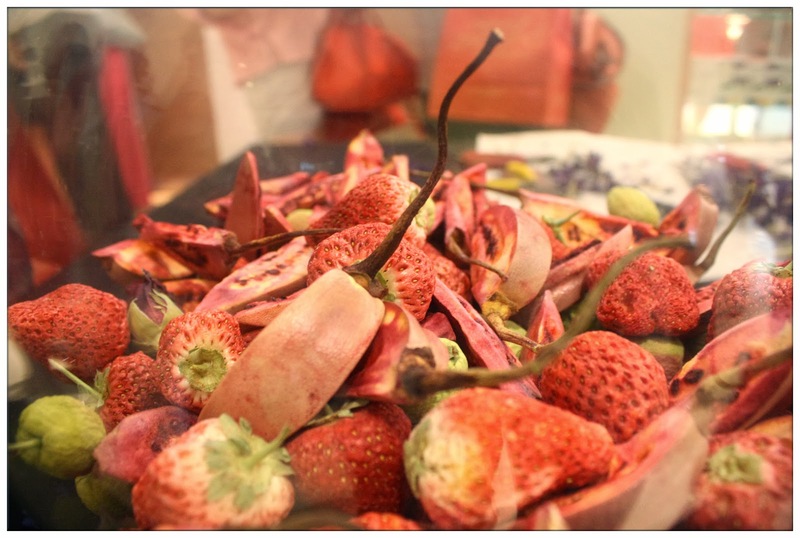 These looks yummy even though they are dried fruits already! Organic oil, fruits and flowers were used to make each and every bottle of Linden Leaves body oil. Congratulations to all these lucky winners! Other than Linden Leaves, Skintopic also retailing brands from New Zealand like Olive & Tebe, Wild Ferns and Evolu. You can find all these natural made lifestyle and beauty products at five outlets of Skintopic around KL and Selangor area. Thank you Skintopic for the wonderful afternoon.